London's Old Vic Theatre said Thursday it has received 20 allegations of inappropriate behavior by its former artistic director Kevin Spacey, and acknowledged that a "cult of personality" around the Hollywood star had made it difficult for the alleged victims to come forward. The London theater launched an investigation into Spacey last month after claims of sexual harassment emerged in the United States. 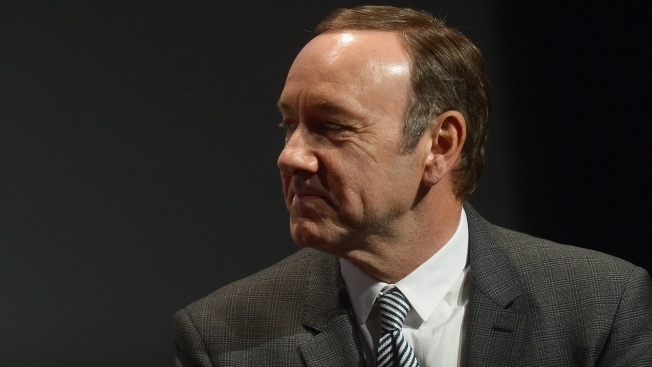 Spacey, 58, led the Old Vic between 2004 and 2015. The Old Vic said it had received 20 allegations of "a range of inappropriate behavior," from actions that made people feel uncomfortable to "sexually inappropriate" touching. In all but one case the complainants say they did not report them at the time. One man says he reported an incident to his manager, who did not act on the information. The Old Vic said it had encouraged 14 of the complainants to go to police, but could not confirm whether any had done so. The theater said Spacey's "star power" contributed to an atmosphere in which staff "did not feel confident that the Old Vic would take those allegations seriously, given who he was." "During his tenure, The Old Vic was in a unique position of having a Hollywood star at the helm around whom existed a cult of personality," the theater said in a statement. "The investigation found that his stardom and status at The Old Vic may have prevented people, and in particular junior staff or young actors, from feeling that they could speak up or raise a hand for help." Spacey has been fired from the Netflix TV series "House of Cards," dropped by his talent agency and publicist and is being cut out of Ridley Scott's finished film "All the Money in the World," replaced by Christopher Plummer. The Old Vic appointed law firm Lewis Silkin to investigate in October, as reports and rumors circulated about Spacey's behavior while he was at the helm of the 200-year-old theater company. Richard Miskella, a partner at Lewis Silkin who led the investigation, said the firm invited Spacey to participate in the investigation "and he didn't respond." Miskella said he found no evidence that suspicion about Spacey's behavior was common at the Old Vic. He said the company's board of trustees was "completely shocked" by the allegations. "There wasn't widespread knowledge of this," Miskella said. "Pockets of the business knew, and it didn't get escalated." The Old Vic promised to improve, and said it would appoint "guardians" whom staff could contact with concerns. Old Vic executive director Kate Varah said this was "a really dismaying time" for the theater and apologized to the victims. "We have not slept since this came out," she said.